Casino Room is a stunning casino with a focus on winning big. It was created by Ellmount Gaming Ltd in 2005, which has its headquarters situated in the gaming hub of Malta. 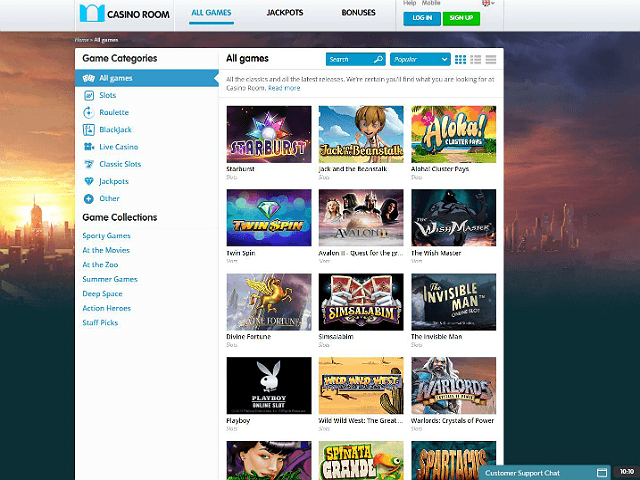 The owner has more recently given Casino Room a complete overhaul, giving it a broader appeal by integrating design aspects from computer games into the overall gameplay of the site. It holds licenses with both the UK Gambling Commission (UKGC) as well as the Malta Gaming Authority (MGA), allowing it to operate in the UK as well as many other countries in Europe and around the globe. It is one of the few casinos that supports languages like Japanese, Turkish, and even Russian. Check out our review to see why you should open the doors to Casino Room in 2019! Casino Room has entered an exclusive partnership with Cypriot firm Betsoft to provide its backend software. The company also acts as one of a number of slot game providers, but its software allows integration of slots designed by other developers including NetEnt (Net Entertainment), Microgaming, Evolution Gaming, Thunderkick, and Yggdrasil Gaming. As Casino Room uses Betsoft to power the casino, it has a look and feel that is not common among online sites, offering a fresh user experience and innovative playing platform. Site navigation is controlled by a vertical menu on the left hand side. It divides games into typical categories like Slots, Roulette, Blackjack, Live Casino, Classic Slots, and Jackpots. However, it also collates them into Game Collections for enhanced usability, allowing players to explore titles that share a common theme in the same way Netflix does with films. These include Sporty Games, At The Movies, Summer Games, Action Heroes, Deep Space, and Staff Picks. The games themselves can be organised into rows of three, or single file, with an added description beside each one. This not only offers members an overview of the game and its theme, but games are also given a rating out of 5 based on the votes it receives from Casino Room players. Casino Room tries to cater for all players, and with over 270 slot games, it certainly goes out of its way to achieve this goal. 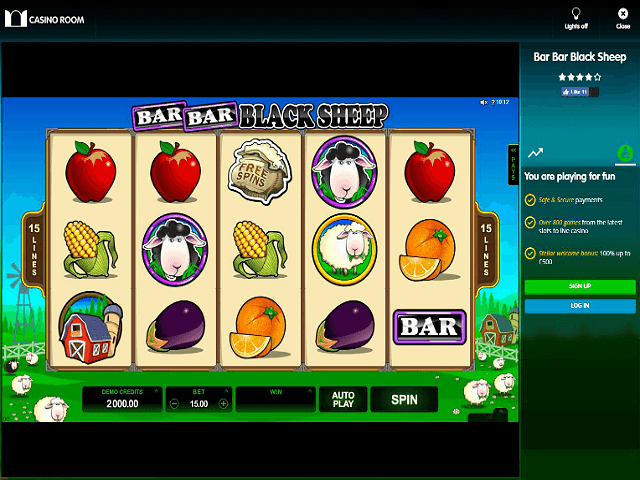 With one of the biggest selection of games online, players can browse through the various slot titles to find something that suits their playing style. The slots are divided into Game Collections, so players can see what options they have based around themes like Sporty Games, At The Movies, Summer Games, Action Heroes, Deep Space, and Staff Picks. 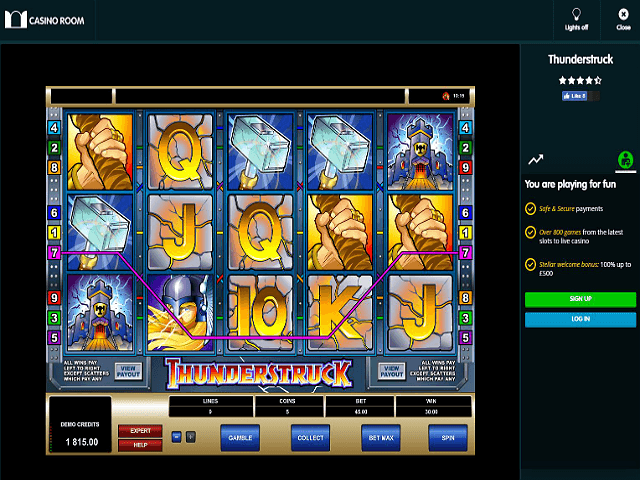 This stunning array of slot games includes old classics as well as brand new video slots. Does Casino Room Offer Progressive Jackpot Slots? Casino Room does offer a small selection of progressive jackpot slots, including two Mega Moolah titles that offer life-changing progressive jackpots. There are also other jackpot slots that pay smaller jackpots but with more frequency, like LootsALot, Treasure Nile, and Mega Joker. Overall, thanks to the partnership with jackpot slot developer NetEnt, Casino Room's progressive jackpot selection can compete with any of other top online slots casinos. Can Players Demo Casino Room Slot Games for Free? Yes, all titles in Casino Room are free slot games. When players choose a game, they are given two options on how to play – Play & Win or Play for Free. Choosing the latter will load up the demo slots mode. Players can try as many free slot games as they like. If they find one that appeals to their sense of adventure, they can switch from the demo slot games to playing for real at the touch of a button. Not content with a huge selection of games, Casino Room also offers many payment options for making casino deposits and withdrawals, from direct bank transfer to VISA and Maestro Card. There is also support for eWallet and online payment methods like iDeal, Click2Pay, NETELLER, Skrill, Ukash, Trusty, WebMoney, and Paysafecard. The minimum amount for depositing funds is $10, while the maximum on several payment types is $50,000. It also has a large withdrawal limit of $100,000 on many of these payment methods. Casino Room offers 20 free spins to new players who join before they have even made a deposit, which is unheard of in Canada. There is also a first deposit bonus, where Casino Room will 100% match a deposit up to an incredible $500, one of the biggest single casino bonuses ever seen. Not only that, but there is also an additional 180 free spins on top of this, handed out at a rate of 20 per day. Tapping into the world of video games, one of the more unique loyalty promotions at Casino Room sees players being given a number of daily missions. Completing these tasks will add points onto a player’s score. 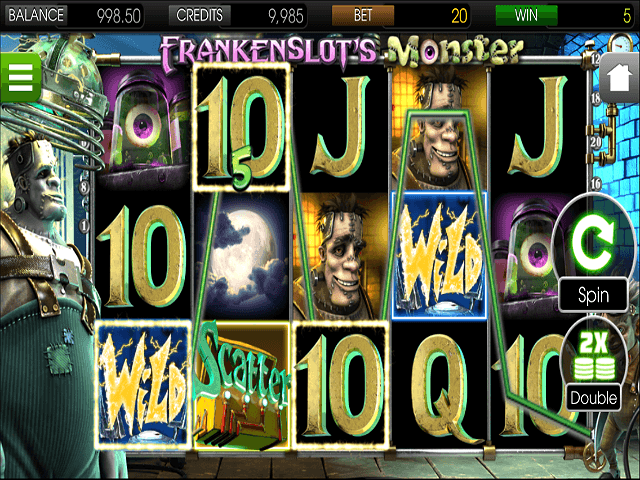 For example, players will be required to win a certain number of times to acquire slots bonus points. This progressive system sees players advance further up the chain, receiving bonuses such as free spins or more points for every new level they reach. In order to keep its players’ information safe and secure, Casino Room utilises the latest 128-bit encryption technology using SSL (Secure Socket Layers) to make sure any personal info or banking details are protected. Casino Room has one of the best levels of customer service around, with its support team available around the clock to answers any queries and address any issues that arise. They can be contacted via live chat, email, and telephone. Skype calls are also supported, but it is not available 24/7 like the other options are. Casino Room operates with a UK licence from the UK Gambling Commission as well as a license from the Malta Gambling Authority. As it operates in the UK, Casino Room requires an Alternative Dispute Resolution (ADR) service to address issues of fairness should a complaint or dispute arise. Casino Room uses the UKGC-accredited Independent Betting Adjudication Service (IBAS).